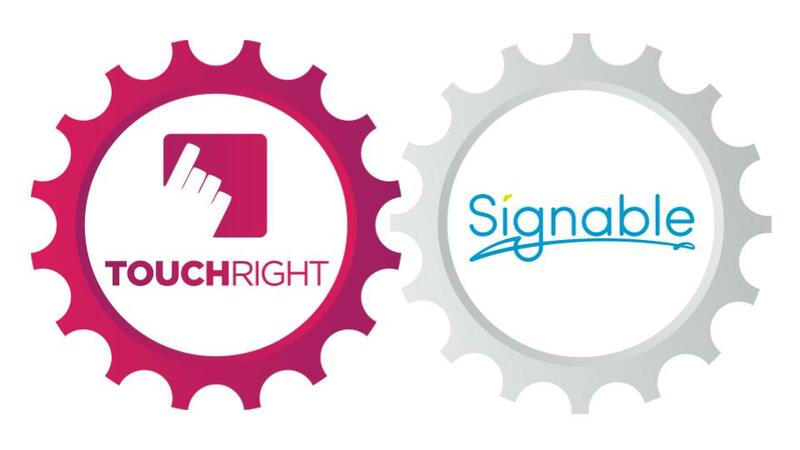 TouchRight integrates with Signable, one of the leading eSignature software platforms for business. Signable enables companies to get documents signed legally, quickly & securely online with electronic signatures. With Signable’s TouchRight integration you can connect your TouchRight account to your Signable account to make sending documents out for signature even easier. You can easily push your TouchRight reports out for e-signature through your Signable account. Select the parties to sign and get real-time status updates, all without leaving your TouchRight account. Don’t worry if you need to make changes to your report or need to send to additional parties, as you can re-submit at any stage. You can check for updates at any time at a click of a button. Within TouchRight you can see what documents have been sent out for signature and which ones have been signed. Plus download the document directly from within TouchRight without logging into Signable.